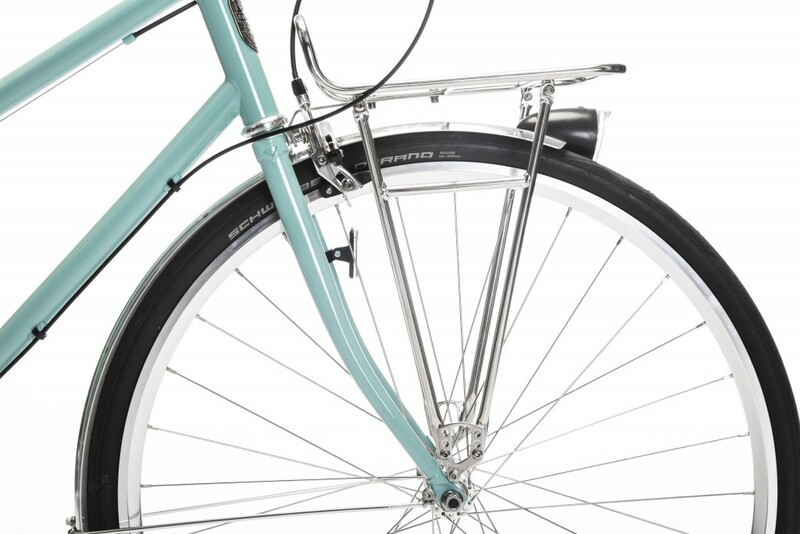 Pelago Commuter Front Racks are fantastic porteur-style front racks for bigger loads. Their design and engineering is unique and they can be installed to almost every bicycle and of course to every Pelago. 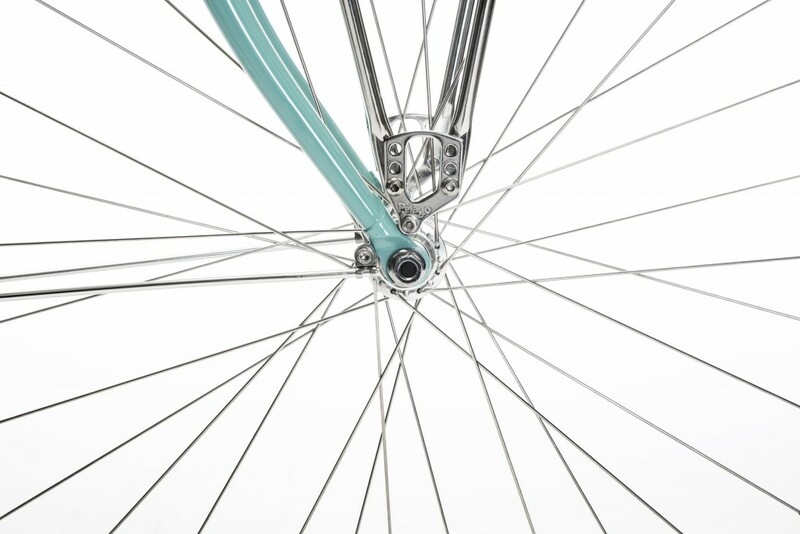 They can be installed to front dropout top eyelets, fender eyelets or even to dropouts without eyelets – mounting parts and instructions are included with every rack. 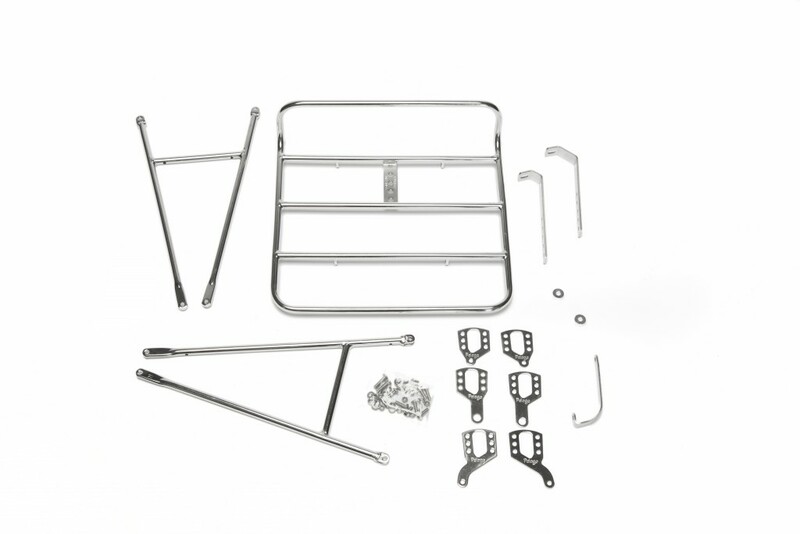 Front panniers can be mounted to the horizontal rails on both sides of the rack legs, and the whole package comes with an attachable light mount. The racks are made of stainless steel and are available in two sizes, polished silver and black. All mounting hardware is included. 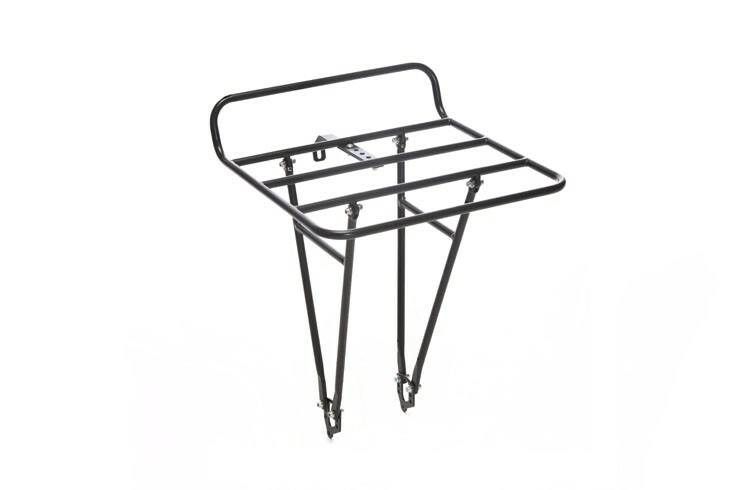 The racks are foldable, which means that they are fit in smaller space and are easy to ship. Maximum load for the rack is 15 kg.